This isn't really personal work, rather an image from March 25, 1991, when I was working at the Hutchinson News. This image won the C.G. Wellington Award for AP Photo of the Year (Kansas/Oklahoma), 1991. 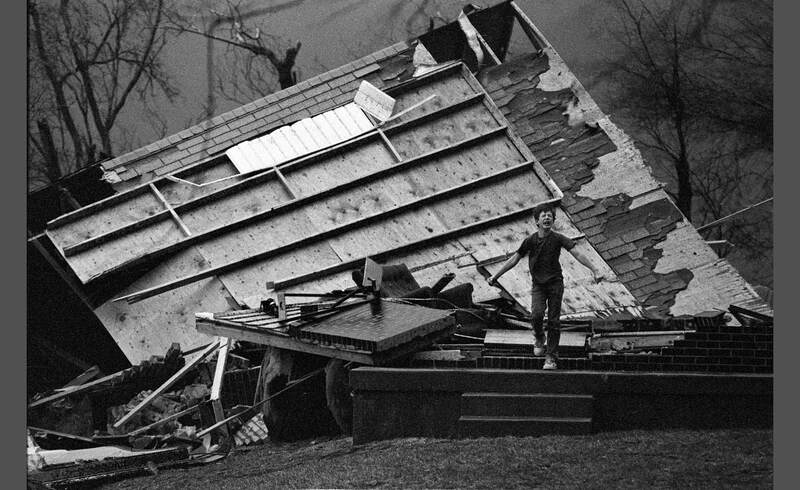 A boy emerges from the basement of his home minutes after it was destroyed by a tornado.